When moving or simply decluttering your home, self-storage can be an ideal solution for your belongings. At Vines Storage, a premier self-storage facility in Redlands, CA, we offer storage options for furniture, classic cars, boats, and RVs to residents in California and beyond. Our self-storage units are designed to give you peace of mind when you are away from your most prized possessions. Historical evidence shows self-storage existed 3,000 years ago in China. In 1960, the modern day self-storage concept was born in Texas. The United States has more than 50,000 self-storage facilities, and that number is growing. Before self-storage, people would overfill their property, dispose of potentially valuable items, or rely on removal companies to store goods with limited access and flexibility. Fortunately, today, there are several options for ensuring the longevity and quality of items ranging from furniture to business supplies. 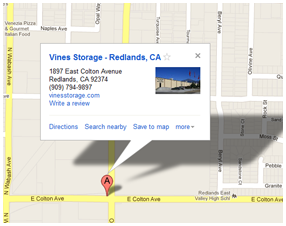 Vines Storage offers a variety of self-storage units that are up to the size of two-car garages. Our indoor facility ensures your items are protected from the weather, rodents, and vandalism. Our facility was created from a large converted warehouse, boasting taller units than our competitors. We understand there are various reasons you may need a storage facility. We can ensure peace of mind whether you are going on vacation for a month or leaving the country for a year. In addition to providing a safe and secure facility, we offer tips to our clients to ensure their belongings have the best stay possible. A stepladder is recommended to allow easy access to items out of reach. We recommend placing the largest items against the walls and most frequently used items near the entrance. Create an aisle to allow accessibility to all of your items. Store large furniture vertically to make the best use of your space. Are you looking for an excellent storage facility for your items? If you are, call Vines Storage at 909-389-6209 to learn more about all of our options.